One of the most recognizable names in racing is pairing up with one of the most recognizable names in computing. The McLaren Formula 1 team and Dell Technologies are entering into a "multi-faceted, long-term partnership." After several years without a major sponsor—years that mostly coincided with a precipitous fall in performance—fans of the team should see this as a positive step for the British team. As well as seeing its name on the racing cars, Dell will provide the entire McLaren Technology Group with technology. 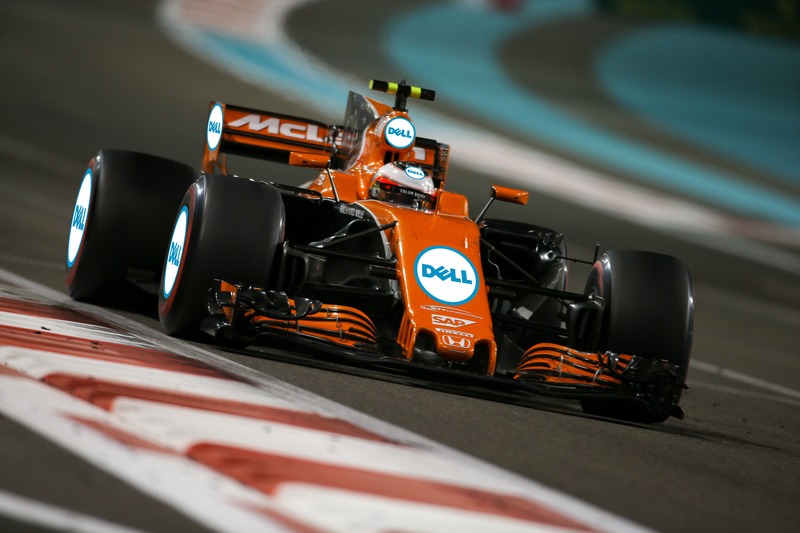 "Dell Technologies, which consists of seven global brands—Dell, Dell EMC, Pivotal, RSA, Secureworks, Virtustream and VMware—will bring its deep technology expertise to all McLaren Technology Group companies, including McLaren Racing and McLaren Applied Technologies, as well as benefiting McLaren’s esports programme, World’s Fastest Gamer," McLaren said in a statement. For its part, Dell is excited to get its name in front of F1 viewers in Europe and Asia. "Think of us using it in the same way as we have used the PGA Tour golf events so successfully over the past couple of years. Over 400 million people watch Formula 1 each year, most outside of the US, and it contains a high concentration of tech-savvy watchers—which is of particular interest to us," the company said in a statement. And this isn't Dell's first foray into F1; back in 2013 Lee Hutchinson took a look at how the tech company was helping (now-defunct) Caterham F1 in the sport. For McLaren, this is the first major sponsor the team has landed since Vodafone left in 2013. The refusal of previous team boss (and part-owner) Ron Dennis to lower McLaren's "rate card" (the price it charges sponsors) contributed to his removal by the team's other shareholders in 2016. More recently, McLaren has been run by Zak Brown, who's brought a slightly more relaxed management style to the only team on the grid that could make Roger Penske's outfit look messy. Brown let his star driver Fernando Alonso have a go at the Indy 500 last year, even though it meant missing the Monaco Grand Prix. And he's letting Alonso do double duty in 2018 as the Spaniard is also joining Toyota Gazoo Racing in its assault on the World Endurance Championship and Le Mans. Brown has even been engaging the world of esports, using it to find a new simulator driver. In addition to a new high profile sponsor, McLaren is getting a new engine for 2018. After several years of disastrous results with a Honda powertrain, McLaren is switching to Renault units, with the Japanese company moving to Toro Rosso.